This is Datsun’s third year of operations in India and it still hasn’t quite been able to actually put up a product that could shake up the segment in which it is operating. 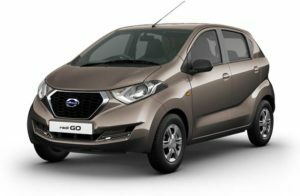 The GO and the GO+ came and went without making much of a mark, but with the Redi-GO, Datsun can think of taking the fight to the likes of Alto, Eon and the Kwid. Datsun says that this is the perfect city slicker. To put their claim to test, we spent some time driving the car in Kolkata and here is what we think of it. Book a test drive for redi GO in Tryaldrive. Clearly, the designers have spent a considerable time on the car’s lines and looks. The front end is definitely one of best-looking in the segment, with its short bonnet, hexagonal grille and those furrowed, big headlamps. The sculpted bumpers with a faux skid plate at the front along with those DRL strips definitely give a solid road presence to the RediGO. View its profile and you see the sharp, well-defined lines that run along the doors and provide visual relief. At the rear, the chrome lip on the boot and those fat boomerang-shaped tail lamps round up the urban cross ‘Yukan’ (Japanese for brave & bold) design of the Redi-Go. What impresses us is the fact that the boffins at Datsun were very clear in their head as to what they exactly wanted with the Redi-Go and absolutely nothing was lost in translation. The job’s a little more extensive on the inside. For starters, you now get keyless entry and central locking to make the car move with the times. The biggest and most welcome change, though, would be the all-black interior. It’s a job well done and befitting of the more powerful engine. Importantly, it looks nicer than the grey-ish interior of the Redi Go 0.8, which is about as interesting as a documentary about bath salts. Since it’s available only in the T (O) and S variants, power steering, an AC and a head unit with AUX/USB and FM come as standard. Datsun could have used this opportunity to add Bluetooth, to the mix. Also internally adjustable wing mirrors, ABS and an airbag for the front passenger! Even the driver’s seat has a limited travel range, so tall drivers beware. That said, it’s still accommodating for four average-sized adults, with the seats offering surprisingly good under-thigh and decent back support. Overall, a good job on adding some distinction, but pre-existing misses remain. Now let’s get to the big change, shall we? The Renault Kwid and the Datsun redi-GO share the same platform and, thus, share the same engine and gearbox. They even share the same engine mapping. And this means that the redi-GO gets a 0.8-litre or 800cc engine that makes a modest 54PS of peak power and 72Nm of peak torque. Essentially, this car is not tuned for performance but for fuel efficiency. So, don’t go looking for driving thrills. But, if you are the sort of person who only wants to potter around from point A to point B in relative comfort, then this could be the right car for you. Datsun claims that the redi-GO can accelerate from 0-100kmph in 15.9 seconds and achieve a top speed of 140km/h. However, if you do drive it sedately, it returns a respectable 22.7kmpl as per ARAI’s new test cycle. The claimed fuel economy is 22.5kmpl, which is expected to be close to real-world numbers as it has been tested according to the new ARAI regulations. According to this method, the claimed mileage of the 0.8-litre redi-GO has dropped from 25.17kmpl to 22.7kmpl. So practically, you don’t lose out on fuel economy if you go for the 1.0-litre option. Overall, the redi-GO 1.0-litre is definitely a nicer to drive than the 0.8-litre and, importantly, the benefits can be felt in everyday driving conditions. The Datsun redi-GO does share the same basic architecture as the Kwid, but the suspension setup is very very different. In fact, it comes with a unique H-shaped beam setup for the rear suspension which is a unique feature in its class. But what does that translate for the average joe? Well, for starters, the redi-GO is one of the most comfortable cars we have driven in a long time (in this segment). It is also suited much more towards ride quality as compared to handling and it shows in the way the Datsun makes short work of most bumps and potholes. Apply car loan for Datsun redi GO at Fincarz. The Datsun redi GO has a fairly sparse list of safety features. It does get an immobiliser and a driver-side airbag but the latter is only offered on the top-spec variant. Also, ABS is not offered on any variant.This is one segment where safety of the occupants is not really the prime concern for majority of car manufacturers. Although, Datsun has managed to equip redi GO with some decent features. It makes use of a Datsun claimed ‘Pro Safe-7’ mechanism. This includes a reinforced crash protection shell which beefs up the structure of this compact hatch. Also on offer is an electric power steering with an impact absorbing feature. To ensure a safe and comfortable drive, Datsun has introduced a driver side airbag for more protection along with increased seat bolster that takes care of your driving position and provides lumbar support as well. Datsun offers a variety of customisation options on the rediGO. Some of bits that can be customized include mudflaps, wheel-trims, exhaust finishers etc. One can also get different audio systems installed along with piano black trim finishes and even keyless entry. Yes! That too.The sibling advantage has proved to be a big boon as the Redi-Go finally gets a motor that not only offers more power but also offers better drivability. That along with refreshed and spacious cabin makes it worthy of consideration, especially for those looking to ferry a small family of four. What remains to be seen is the price point Datsun places it at. The entry-level hatchback space could get interesting.